President Donald Trump has been making a big stink about the Federal Reserve’s rate hikes lately. Last week, after the Dow plunged nearly 2,000 points, he blamed the Fed for it, saying “I think the Fed is making a mistake. They’re so tight. I think the Fed has gone crazy…” On Tuesday, Trump said that the Federal Reserve is “my biggest threat.” Since he became president, Trump has been praising the soaring stock market (something I said was very dangerous to do), viewing it as evidence of the success of his administration’s policies. Trump is worried that rising interest rates will put an end to the stock market boom, which will make him look bad. 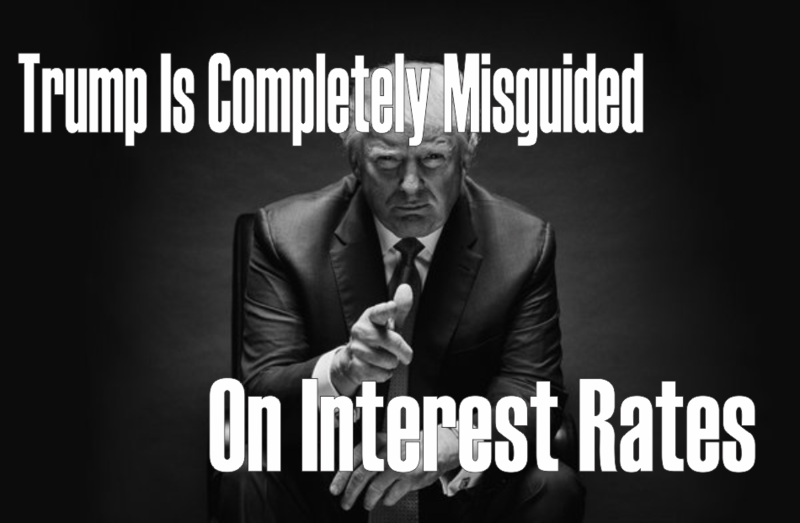 Unfortunately, the president is extremely misguided about how interest rates work and the role they play in creating booms in the stock market and economy. As I’ve explained in great detail, the U.S. stock market has been booming because the Fed held interest rates at record low levels for a record length of time after the Great Recession. This Fed-driven stock market boom is an unsustainable bubble instead of a genuine, organic boom. 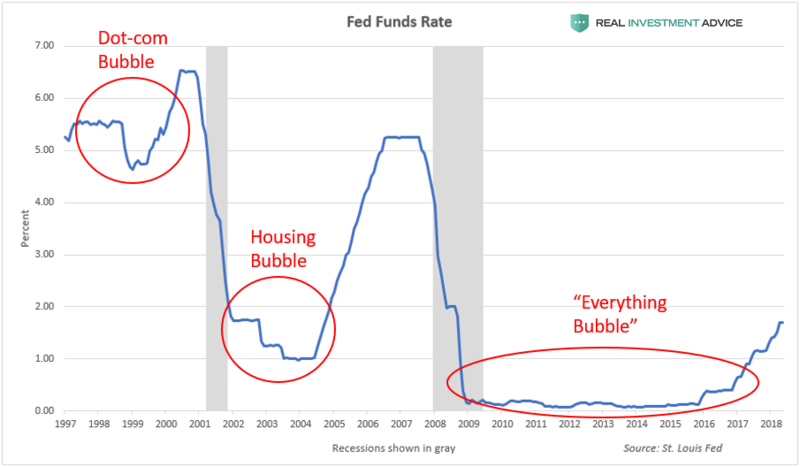 The fact that the Fed held rates at record low levels and inflated a credit and asset bubble meant that a crisis was already “baked into the cake” whether the Fed raised interest rates or not. Once a credit expansion or bubble is already in motion, the actions of the central bank from that point on can only determine what type of crisis occurs when the credit expansion ends – not whether a crisis will occur or not. Federal Reserve Independence – Under Attack Again? The Fate Of The 2016 Presidential Election: In The Hands Of The Fed? Was Raising Rates A ‘Yuge’ Mistake?